The Half Mile of Hell is Back! The WPCA Half Mile of Hell is back in Medicine Hat this weekend, and Davis is proud to be sponsoring another exciting driver. 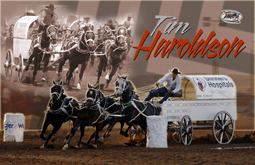 Tim Haroldson will be running the Davis tarp this year – 2010 saw Tim post 8 top ten runs including 5 runs that cracked the top five. 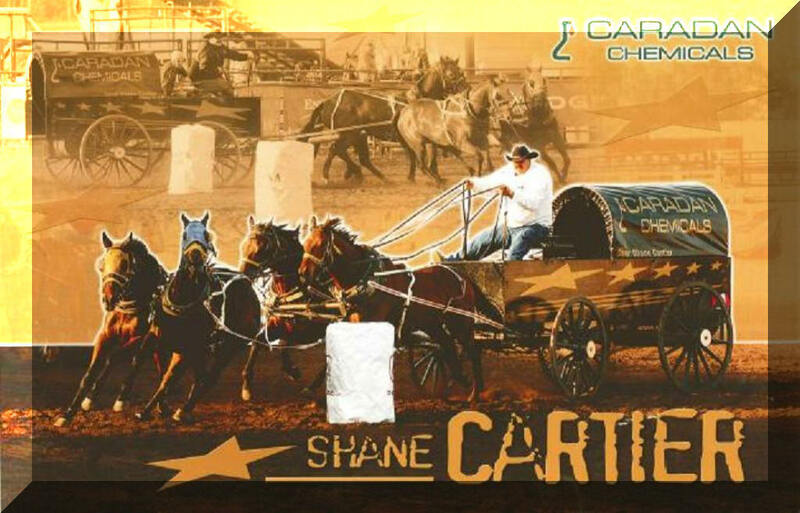 A sixth place overall finish at the Grande Prairie Stampede and an eighth place overall finish at the Battle of the Rockies were his best of the year en route to placing a career best 21st in the World Standings. Tim started his career with the CPCA and was the recipient of CPCA Award for Excellence in Corporate Involvement in 2000 and has won many CPCA show awards for Best Dressed Chuckwagon. 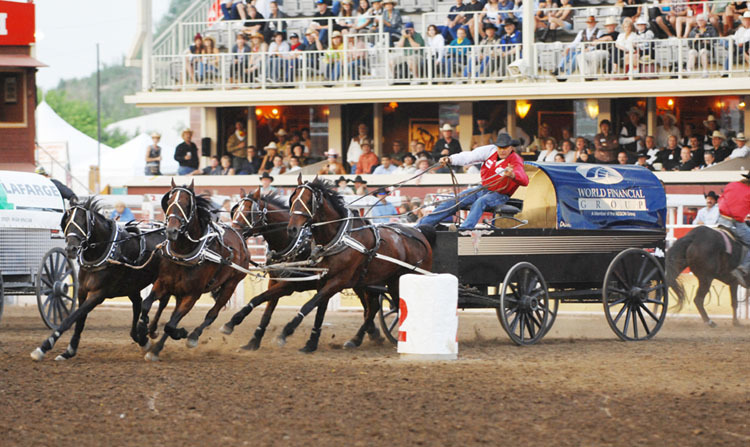 In addition to the two wins at the Colonial Days Fair, Tim captured show championships on the CPCA circuit at the Wainwright Stampede in 2003 and 2007 and the CPCA Lloydminster Finals in 2005. Tim’s outfit also captured the CPCA’s Meadow Lake Stampede in 2007, but a pre show injury prevented him from driving and his outfit was handled by replacement driver Roger Moore. Tim and his wife Melissa make their home in Melfort, Saskatchewan. Last years event was an outstanding time, and this years stop looks to continue that trend. The chucks will be running June 9-12 this year, for 4 exciting days of racing featuring 36 drivers. 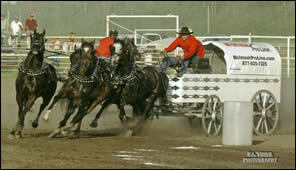 Head on down to the Medicine Hat Exhibition & Stampede to check out the action.